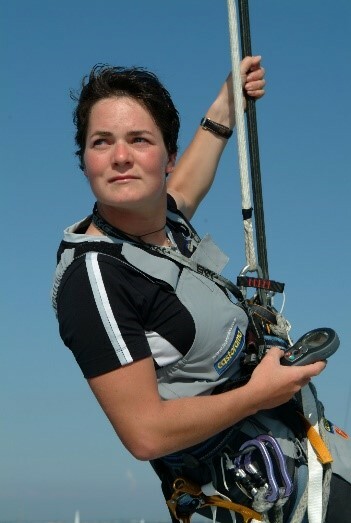 As a record-breaking sailor, Dame Ellen MacArthur has seen more of the world’s oceans than almost anyone else. Now she is warning that there will be more waste plastic in the sea than fish by 2050, unless the industry cleans up its act. 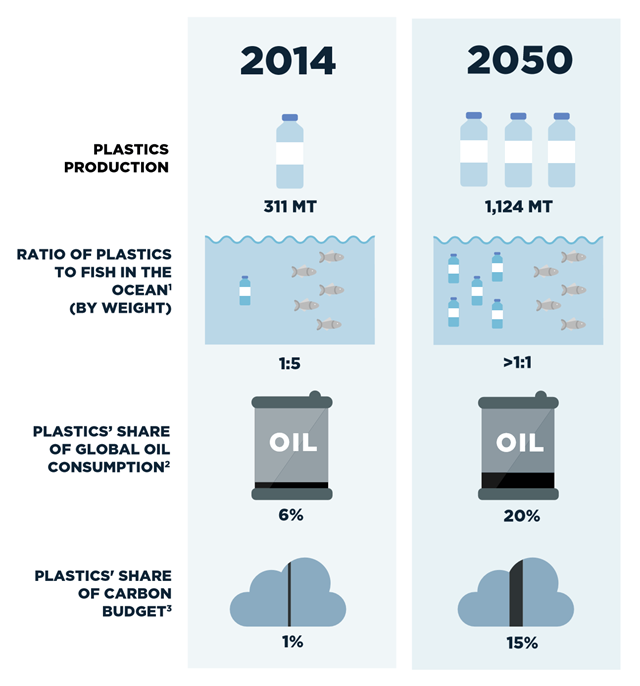 According to a new Ellen MacArthur Foundation report launched at the World Economic Forum on Tuesday, new plastics will consume 20% of all oil production within 35 years, up from an estimated 5% today. Decades of plastic production have already caused environmental problems. A carelessly discarded plastic bag can break down in the sea, especially in warmer waters, but the process releases toxic chemicals that may be digested by fish and end up in the human food chain. Research released a year ago found there were more than 5tn pieces of plastic floating in the seas, many just 5mm across. Larger items can be a threat to sea life such as turtles and seals, which swallow them. Scientists have also found that countless tiny fragments drift to the bottom of the oceans, carpeting the sea bed. The environmental and health impact of this is unknown. 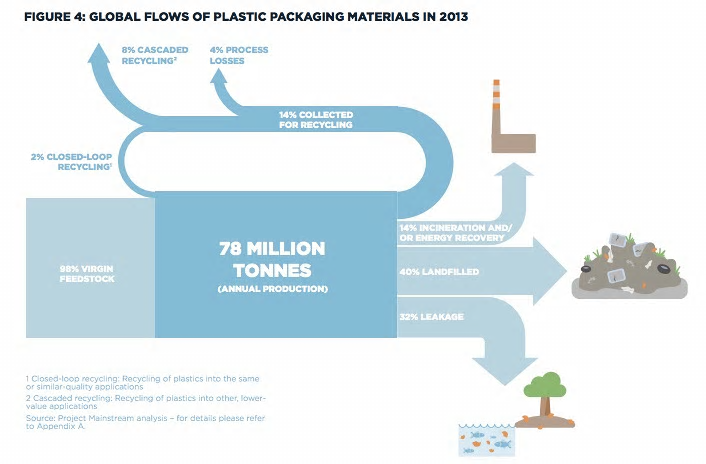 The report concludes that the plastics industry is comprehensively failing to address these issues. Dr Martin R Stuchtey of the McKinsey Center for Business and Environment, who helped produce the report, said a wave of innovation could be transformative. The plastics recycling industry is also reeling from the recent plunge in the price of oil. At $30 (£21) a barrel, it is more expensive to recover plastics and process their hydrocarbons to recycle them than to use virgin crude. Solving the problem will not be easy, especially as the industry is under pressure to produce more to meet growing demand from emerging markets. Bioplastics are currently more expensive to make than the petro-alternative, and recycling systems are inefficient. MacArthur, who broke the record for the fastest solo circumnavigation of the globe in 2005, says fundamental reform is needed. Her vision is for a “new plastics economy” in which the industry, governments and citizens work together to ensure that plastics never become waste and cut the leakage into natural systems. “Linear models of production and consumption are increasingly challenged by the context within which they operate, and this is particularly true for high-volume, low-value materials such as plastic packaging,” she said. One part of the solution is to rethink the way goods are packaged, cutting the demand for plastic. Water-soluble film, for example, can be used to wrap small items. Hard-to-recycle plastics such as PVC and expandable polystyrene could be phased out. Manufacturers could redesign plastic items so they can be reused better, and rethink their production methods to make recycling easier. More products could be made out of plastics which can be composted on an industrial scale, including rubbish bags for organic waste and food packaging for outdoor events, canteens and fast food outlets. The report admits, however, that a “moonshot” approach is also needed, to create plastics that can be both recycled and composted. Currently it is one or the other. Other options are to develop “bio-benign” plastics, or chemical tagging to stop used plastics slipping through the system and into the sea.